Let's be honest, there's nothing fun about picking up after your pup. However, at least this week's #ThursdayBling, the Bon Ton Luxury Nano baggy holder, makes this everyday activity a little bit more glamorous. Not enough bling? Then stick these silver heart baggies inside for extra stylish, er... scooping. The Bon Ton Luxury Nano is available for $25.95 from The New York Dog Shop. 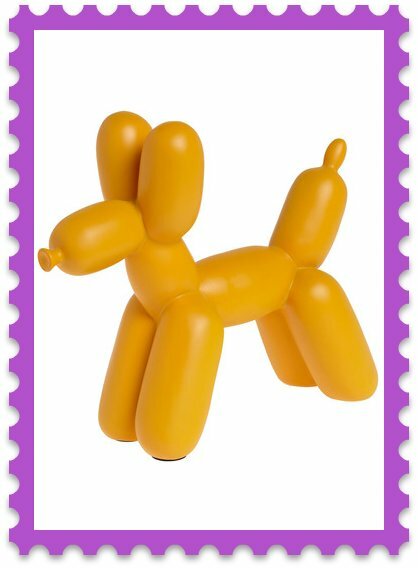 Balloon animals always kind of made me sad when I was a kid because at some point they would start to deflate and we'd have to put them down. NOW you don't have to ditch your balloon buddy! Keep things orderly with this adorable No Fair Bookend available from ModCloth. Choose from orange (currently out of stock) or purple. 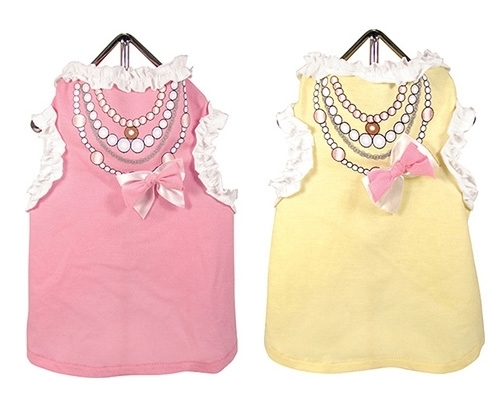 $39.99 each from ModCloth. 3. Aqua Pure Breed Bottled Water: Check out review of this portable water here. 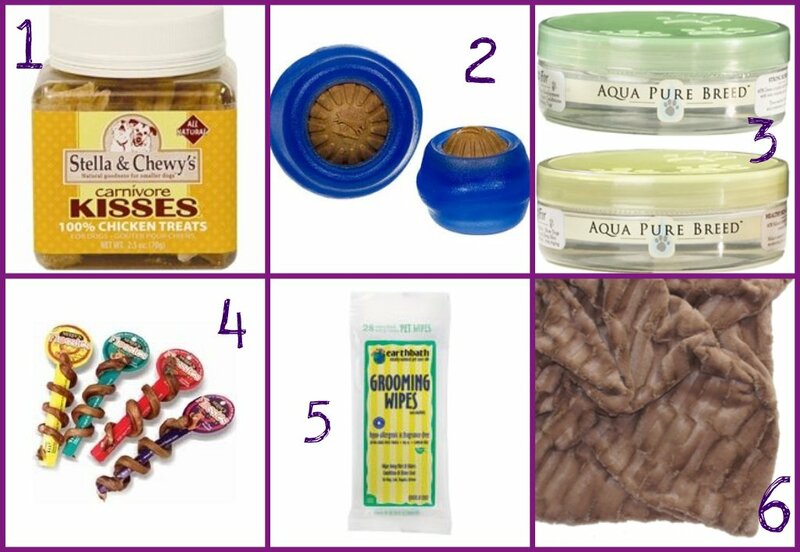 What are your doggy tote bag musts? Our friends at Pawgua are launching an awesome new product for summer and we are sooo obsessed. If you remember, we checked out their bottled water last year during our Summer Hydration series. Now, they've teamed up with Eastman Tritan to make a reusable 20oz water bowl for on the go sipping. 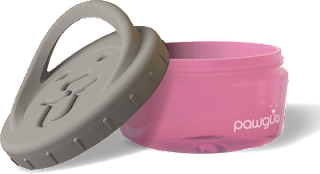 Dishwasher safe, and constructed from FDA-approved food grade polypropylene, each dish features a handle that can be clipped onto a bag with a carabineer. Available for pre-order in a variety of colors (our face is the pink, obviously…), reserve yours now on their website. The price is currently $15, and when we think about all the dough we forked over for some of last summer's water container failures, we think it's very reasonable! 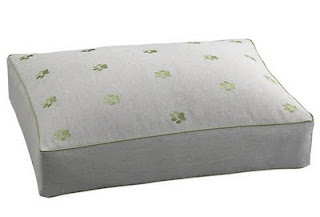 If you didn't know already, Crate and Barrel has introduced a line of pet products. 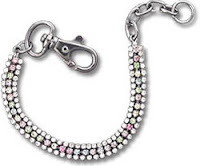 These modern, chic pieces are stylish and moderately priced for the Barkista on a budget. We love one of the latest additions to their line-- this grey chambray square bed features green embroidered paw prints and comes in small or large. The cover is removable and machine washable (yay). 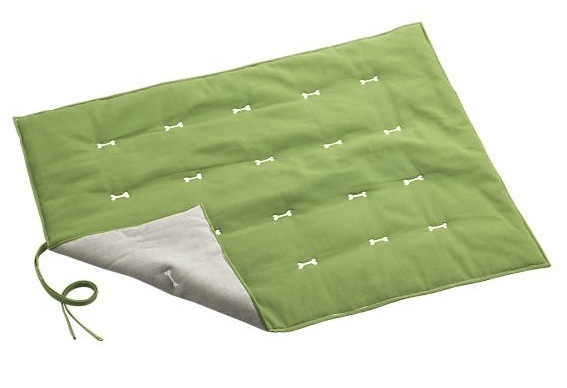 Priced at $39.95, this item is available in limited quantities on Crate & Barrel's website. While you're there, check out the matching travel bed which is on sale. Here at Barkzilla, we LOVE seersucker and polka dots! The company was founded in 2008 to help finance their rescue dog work (yay, shopping for a good cause! 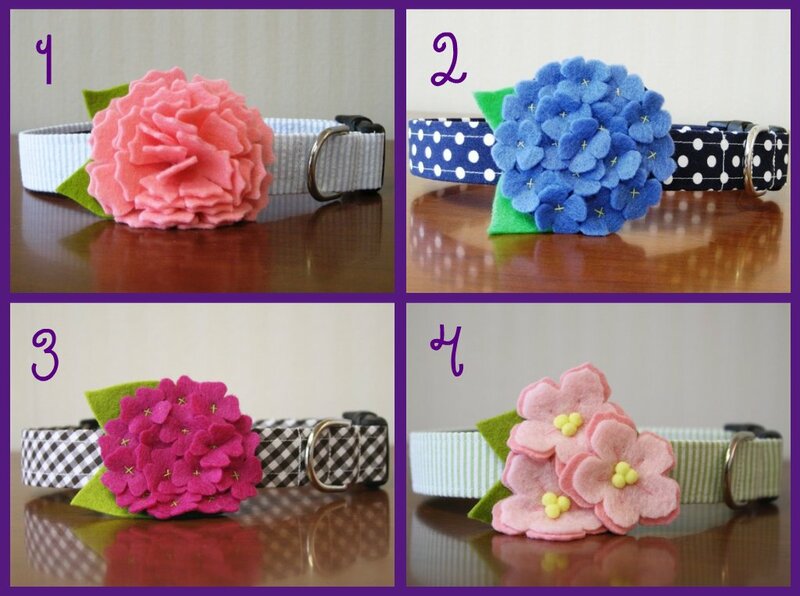 ), and each collar is made by hand. Better yet, if there's a size that won't fit your pup, they'll create a custom number for you. 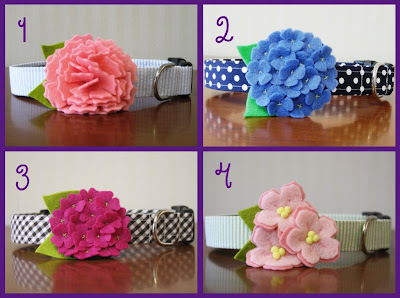 Make sure to check out their Etsy page for even more collar flower/pattern combinations and their blog. Flicking through the NY Times online this AM, we stumbled upon this article about airport pet hotels. DVD players, pool time, massages, room service... Not going to lie, we're kind of intrigued. We've always been fortunate enough to have "grandparents" close by to babysit, so we've never had to investigate other options, but they don't sound bad! Have your pets ever stayed at a "luxury" pet hotel? What do you do with them if you have to travel? Though we're not fans of letting her play with toys that are not designed for dogs (for safety reasons, obviously), no joke-- ping pong balls are her new favorite toy. EVER. Oddly enough, our avid little destroyer hasn't tried to chew on any of the balls (if she had, we would have removed them)-- instead, push it around the room with her nose. Because of their lightweight construction, not only do they bounce but they move pretty quickly on our wood floors, without creating a huge racket (unlike our neighbors….). 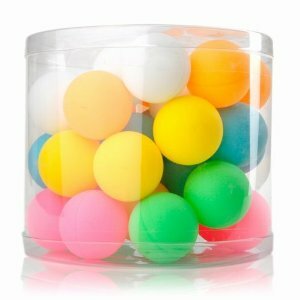 Ping pong balls are definitely not for medium/larger dogs that could swallow the balls accidentally, or those that like to "eat" their toys. 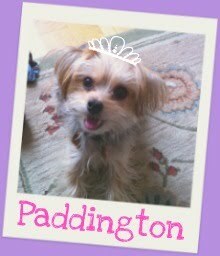 However, we're going to pick up a few more in bright colors for the Morkie-- they won't break the bank, and they're perfect for supervised play. Is your dog a fan? Alison Sweeney is helping pets slim down for summer! The host of the Biggest Loser, and Hills' Pet Nutrition are kicking off their Hills' Science Diet Million Pound Pledge on May 6th in New York City. Their mission is to help the 54% of chubby pets in the US lose a million pounds via exercise and an improved diet. Alison and team will be celebrating the start of their Million Pound Challenge in Union Square at 14th Street at 11:00 AM on Friday. In addition to spreading the word about the battle against pet obesity, there will be free pet weigh-ins, Q+A's with Hills' vets, and Science Diet coupons (which will be redeemable at all PetSmart locations-- including the one near Union Square). Though we've never had to worry about Paddy's weight, we applaud this educational movement. After all, until dogs evolve opposable thumbs, us two-legged folks are responsible for helping them make healthy food choices!